The most important thing to being awakened is getting to know Yeshua the Messiah, first and foremost! The next priority is to know what it means to have been reborn through Him into the Kingdom that is more real and more important than the one we were born into as wee babes from our mothers wombs. Think not, for one second, that Yeshua wasn’t familiar with our temptations to be distracted by a very distracting world. Full of not just evil, but the goodness of God too. Therefore, since we have a Great Cohen Gadol (High Priest) who has passed through to the highest heaven, Yeshua, the Son of God, let us hold firmly to what we acknowledge as true. For we do not have a Cohen Gadol unable to empathize with our weaknesses; since IN EVERY RESPECT HE WAS TEMPTED JUST AS WE ARE, the only difference being that He did not sin. Therefore, let us confidently approach the throne from which God gives grace, so that we may receive mercy and find grace in our time of need. Of course, it’s hard to speculate such things. Yeshua has a stigma that makes such speculations feel almost blasphemous! But, I digress to the truth of Hebrews 4. I don’t think it’s possible to speculate that He was tempted to evil. But tempted to do things different than His Father in heaven desired, exactly, yes, I think it’s more than possible. Why? He (Yeshua) went about a stones throw away from them, kneeled down and prayed, “Father, if You are willing, take this cup away from Me; still, not My will but Yours be done.” There appeared to Him an angel from Heaven giving Him strength, and in great anguish He prayed more intensely, so that His sweat became like drops of blood falling to the ground. Look at that verse very closely, really read it. Most people skip the most important part, emphasizing only His willingness to yield to God. Which is highly important, mind you, I agree. But let’s really look at the angel part, this angel comes to strengthen Him, God knew the temptation here needed extra attention, His compassion poured down onto our Saviour here. Yet, look! Yeshua prayed more intensely to the point of sweating like drops of blood – after – the angel came. I don’t know about you, but often when I’m at a yielding point, the strength God sends to keep me headed in His direction comes with a fight. Head knowledge alone, of the right thing to do, is not the key. It’s fighting the feelings, emotions and sometimes very physical nature to run the opposite way! So here we can see that Yeshua knows this as we do! Sometimes it’s hard to understand why it was God’s will that Yeshua not sin, and that He moved heaven and earth to keep that from happening, when it would seem that it’s God’s will that we sin. It doesn’t seem fair. For those of us who understand the very nature of God’s plan through Yeshua from the beginning of time I need not break this down for you. For those of you who are stuck on this part of God and His nature and plan, may I suggest you study from the beginning (Genesis) asking Him, Himself to reveal to you the difference between us and Yeshua. This is the only way you will know for sure. There are hundreds of teachings on it, yes, but true knowing comes from our own “bloody searching” and I’m not being British in the pun. There’s a searching that this world teaches, it’s rather limp and easy to quit. The searching required to really know the free-setting-truth, is a lifetime commitment. As in you take your last breath looking. It does not take that long, but I’m driving this home to show the difference between a curious seeker, and a driven desire for God alone. This is why there are few who find the narrow path. As I said, this world, is distracting and can be very convincing, that it’s ways can seem so trustworthy. To be awake, we must abandon the thought that this world’s ways have any value whatsoever. To say that this is hard to do is an understatement. Yet, the rewards of having persevered to this goal is, at this moment in time, beyond telling. To get to the Kingdom where no desire to sin, no desire for anything but God’s will is the total existence of man kind, this is the Promise that God has kept in Yeshua, with Yeshua, for us. This is the fellowship of Following Yeshua. Yes, we sin less and less, here and now, as we learn from Him, listen to and obey Him, and do the work He did/does until the Day comes when God – The Almighty and The Power of ALL, says “Enough!” to an enemy who defied Him long long ago, and set out to make of us “little defiler’s” along with him. Misery loves company. 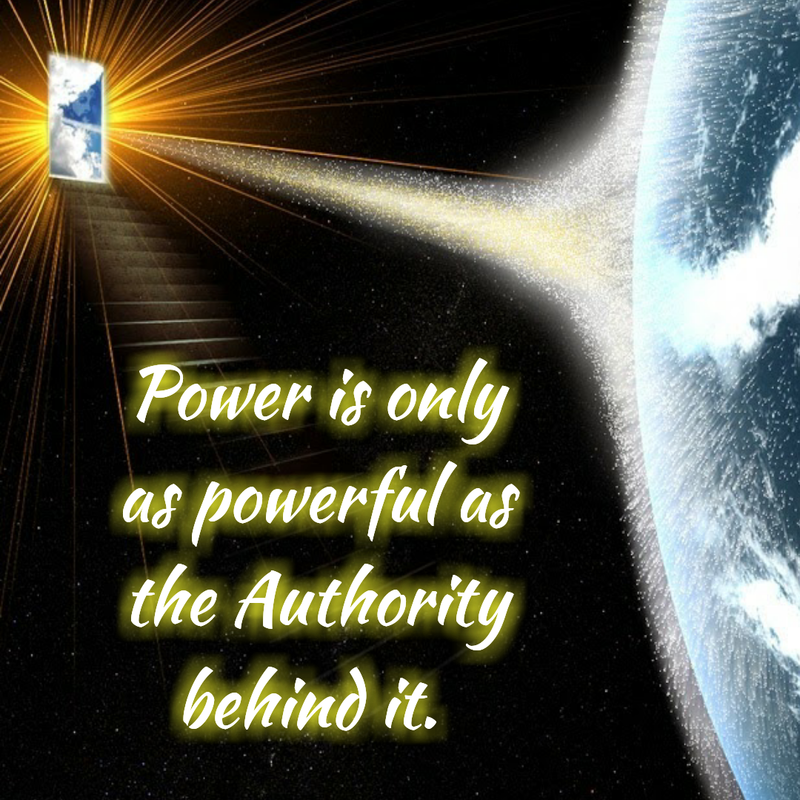 There is a very real and very significant authority we begin to exercise once Yeshua is Master and Lord of our lives. 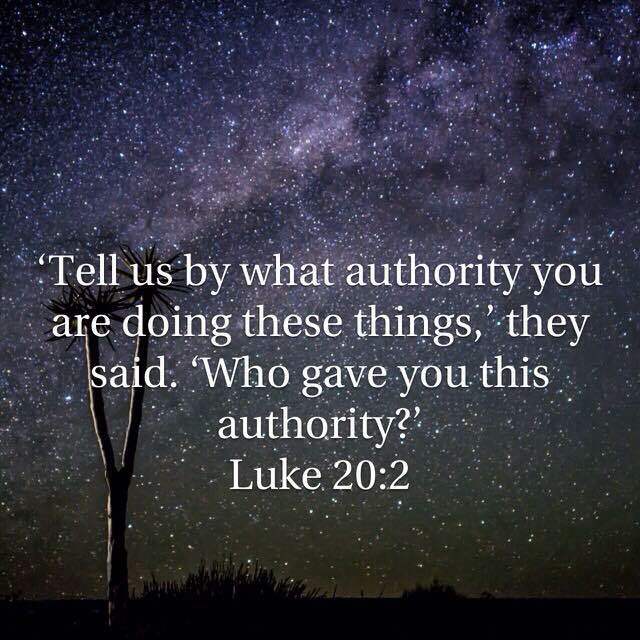 If we look around, and into the past, we find that the authority Yeshua spoke of in Luke 10, has obviously not been something many have understood. I’m learning. To be awake, and help others in the same way, we must learn what this means. What could be more important for us to dive into to study at such a time where the Great deception is in effect and it seems that the whole world is held in the grip of that power? How do we begin to understand the following scriptures if we don’t fully lay hold of the authority Yeshua gives us? You, children, are from God and have overcome the false prophets, because He who is in you is greater than he who is in the world. They are from the world; therefore, they speak from the world’s viewpoint; and the world listens to them. We are from God. Whoever knows God listens to us; whoever is not from God doesn’t listen to us. This is how we distinguish the Spirit of Truth from the spirit of error. For loving God means obeying His commands. Moreover, His commands are not burdensome, because everything which has God as its Father overcomes the world. And this is what victoriously overcomes the world: our Trust. 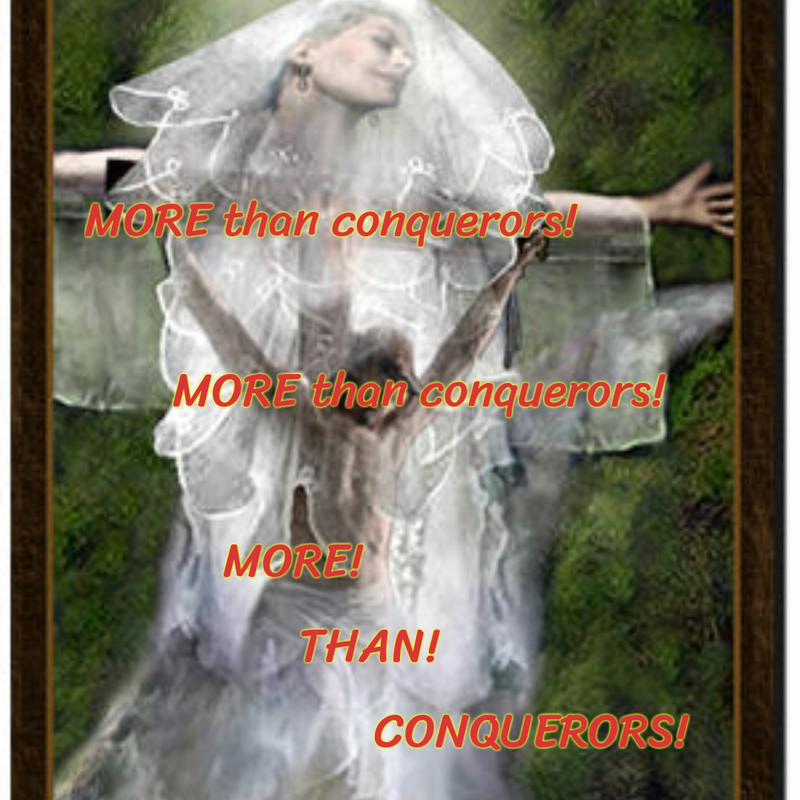 Who does overcome the world if not the person who believes that Yeshua is the Son of God? At a critical hour one must be able to understand their resources, how they are obtained and the limit or limitlessness of them. We are at the critical hour, our resource is Yeshua, how He is understood and the limitlessness of all He is to us is of great importance!